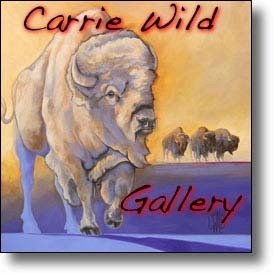 Carrie Wild • (Jackson Hole) Carrie was raised on a small horse farm in Southern Michigan where she developed her love and respect for animals. At age 11 she won a state level 4H art competition that motivated her to pursue a career as an artist. Now painting full time in Jackson Hole Wyoming, Carrie is surrounded by her inspiration of wildlife, horses and wide open spaces. The personality, presence and confirmation of her subjects are the result of thousands of hours of direct observation and photographic capture. 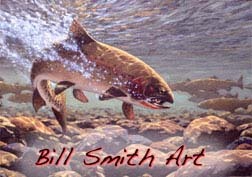 Bill Smith Art • (Jackson Wyoming) Bill has worked steadily as a freelance illustrator and commissioned artist for the past thirty years, completing scores of portrait, landscape and wildlife commissions and a wide variety of illustrations and graphic designs. He has given art his full-time effort since 2004, and has won many awards in shows and contests, including "2011 Featured Artist" for the Rocky Mountain Elk Foundation, first place in the contest for the 2009 Wyoming Conservation Stamp, "Paint America" Top 100 (three paintings), "Arts for the Parks" Top 100, and "Arts for the Parks" Mini 100. Loren's wife Jerri will attest Loren needs better tools! The Hole Picture • (Swan Valley Idaho) Daryl L. Hunter's photography can be seen throughout, this publication "the Greater Yellowstone Resource Guide" as he is the publisher, at his online gallery you can buy framed or unframed photo art of his Greater Yellowstone scenics and wildlife. 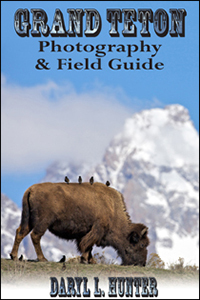 Daryl L. Hunter has been photographing the Yellowstone Region since 1987, when he packed up his 4X5 view camera, Pentex 6X7, and his 35mm’s and headed to Jackson Hole Wyoming to join hundreds of other wanna be photographers, where he learned the real meaning of poverty with a view. Perseverance has paid off though, bringing his photographers eye to web publishing has brought many new eyes to Daryl’s work. 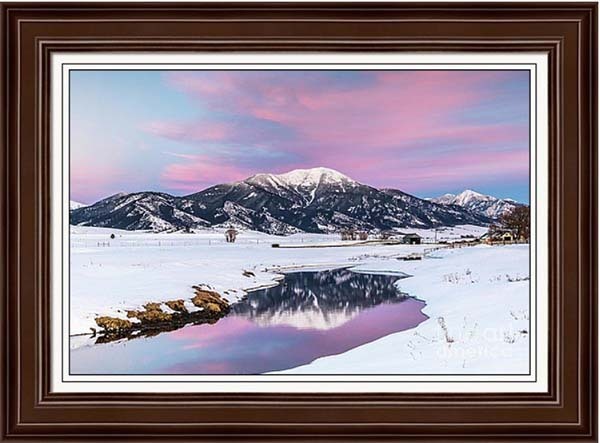 Steve Horn Mountain Gallery • (Teton Valley) In the heart of the Rockies, from his Tetonia mountain studio, Steve Horn has created pieces that have been shipped to homes, lodges and businesses all across the nation, as well as overseas. 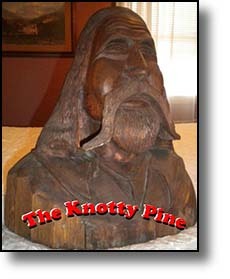 His work can enhance any type of atmosphere and his sculpture is sought after for a variety of décor: doors, mantels, walls, stairways, furniture & accents, whether 3D, relief, inserts or busts - miniature to life-size and beyond. You can rely on his superb reputation for originality, distinctive details, extraordinary quality, workmanship and integrity. Absaroka Design • (Dubois Wyoming) From lodgepole pine and aspen wood furniture made by local skilled artisans, to supple and luxurious buffalo robes, Absaroka Western Designs can help direct you with the interior decoration, design and furnishing of your dream cabin or lodge............................Whether you are seeking furnishings to create the warm ambience of a cozy backwoods cabin, or a well-appointed fishing or hunting lodge, Absaroka Western Designs has what you need to turn your home into a masterpiece of western decor........................Choose from our lighting selections and dramatic metal art images to enhance your decor. Our custom hand-painted rawhide and leather lampshades and coffee tables will give you that special one-of-a-kind touch that will have you stopping frequently to admire your new furnishings. 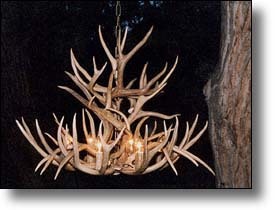 Antler Workshop & Gallery • (Dubois Wyoming) Kurt Gordon is 4th generation of an original Vail Valley family. He grew up in a log house that his Grandfather, a logger, built on property in what now is called West Vail. 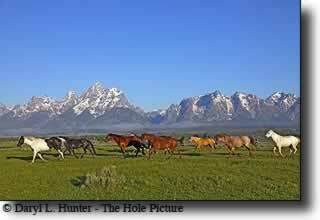 Vail was just wilderness then, a lot of meadows with large herds of roaming deer and elk. Most of the antler Kurt works with are sheds. His favorite past time has not changed in 40 years. He still loves hiking through the woods, sage and mountain tops finding the antler himself although he also enjoys buying from ranchers and locals to keep up with the quantity required for his designs. 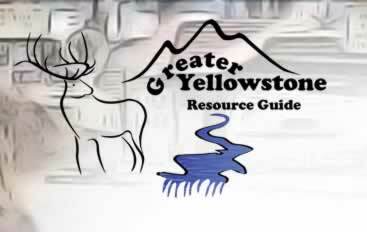 In 2006, while attending the antler rendezvous in Dubois, Wyoming he found the business location he had been looking for and relocated his business to a log home on the Old Yellowstone Highway in the west end of Dubois. 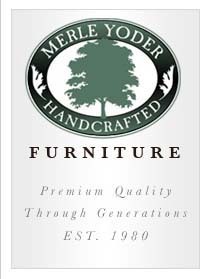 Merle Yoder Handcrafted Furniture • In thirty years of woodworking I have come to appreciate and understand what it takes to make a quality piece of furniture that will last for generations. In this age of throw away mass produced furniture, it is important to me to craft furniture that will stand the test of time. 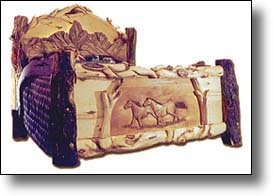 My passion lies in the designs of Arts and Crafts or “Mission” furniture because it stresses function and unadorned beauty, strong simple construction and honest comfortable design.